The corner of your room is no longer wasted space! 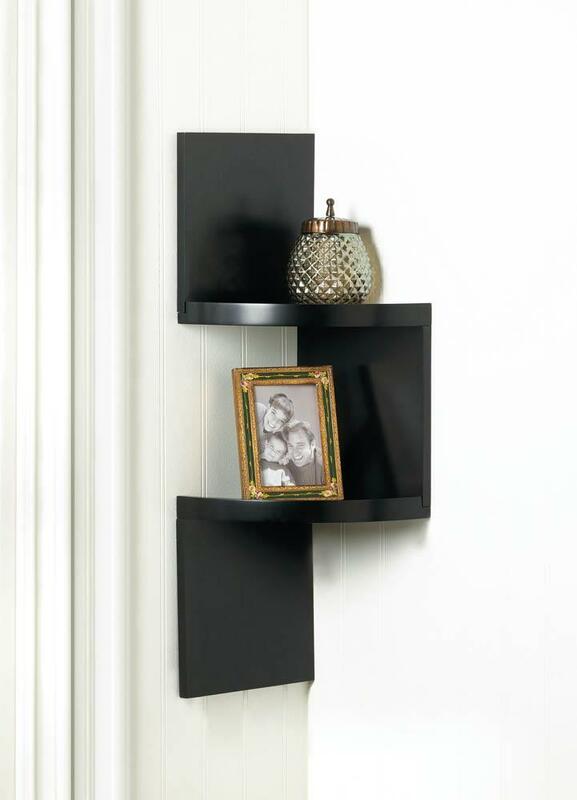 This black wall shelf is truly a work of functional art that will transform an empty corner into a show-stopper. It has two small shelves that are perfect for collectibles. You can use it in any room to amplify the style and show off your impeccable taste. Weight 7 pounds. 9.62" x 9.63" x 30.2". MDF Wood. UPC Number: 849179031381.